DJIA Today, Sept. 16, 2014: The Dow Jones Industrial Average rose Tuesday after investors took a hard look at language used by the U.S. Federal Reserve and expect the central bank to be less hawkish on interest rates in the near term. This morning, the Federal Open Market Committee kicked off a two-day meeting, where the central bank will be under intensive scrutiny from investors to determine what action Fed Chairwoman Janet Yellen and her team will take on interest rates in the next nine months. Today saw strong its strongest gains in the energy sector, fueled by rising oil prices. Brent crude, priced in London, increased 1.4%, while U.S. crude futures in New York were up 2%. Brazilian energy giant Petroleo Brasileiro Petrobras SA (NYSE ADR: PBR) saw shares leap 5.8% on the day. Is 6% in Reach? The U.S. unemployment rate could experience a tick downward as the winter holiday season nears. 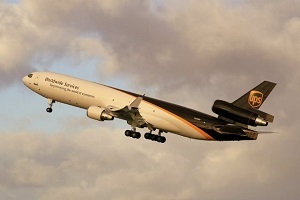 That's because global shipping giant United Parcel Service Inc. (NYSE: UPS) announced plans to hire more than 95,000 temporary workers to meet rising demand for package services. Last year, the company hired 55,000 employees; however, it was ill-equipped to handle the difficult winter weather and increase in customers. This year, the company's strategy is to be over-prepared for anything. The Death of Retail: Shares of Sears Holdings Corp. (NYSE: SHLD) were down more than 9% on news the company would require a $400 million short-term loan from Chairman and Chief Executive Officer Edward Lambert's hedge fund ESL Investments Inc. The short-term loan is a direct response to the company's credit downgrade last week by Fitch Ratings from CC to CCC. The ratings company raised serious concerns that the firm may not be able to finance operations past 2016 in its downgrade note. One Last Stand: Shares of Allergan Inc. (NYSE: AGN) were up more than 0.5% on news the company has agreed to hold a special shareholder meeting for Dec. 18. The Botox manufacturer is attempting to delay or outright prevent a possible shareholder vote that could lead to the company's takeover by Valeant Pharmaceuticals International Inc. (NYSE: VRX) and lead to the removal of most of its board of directors. Shares of Valeant were up marginally on the day. Trouble on the Farm: U.S. Senator Debbie Stabenow, the Senate Agriculture Committee Chairperson, is putting forward legislation that will make it more difficult for Chinese companies to acquire American food and agribusiness firms. Citing food security as a national security issue, Stabenow has been highly critical of the takeover of Smithfield Foods Inc. (NYSE: SFD) by Chinese firm Shuanghui International. While the legislation is not written to reduce tax incentives to companies overseas, it does come at a time when the president and others in Congress are looking for ways to stop American companies from leaving U.S. shores through mergers and acquisitions, particularly those using inversions as a method of expatriation. Take the Deal: It's not a golden parachute, but it might do. United Continental Holdings Inc. (NYSE: UAL) has proposed a rather nice retirement package for many of its 23,000 flight attendants. The company is offering up to $100,000 to any flight attendant willing to retire to pursue alternative career paths, with a goal that more than 2,000 will accept the deal. The company plans to pay the severance packages in order of seniority as it attempts to fit its flight schedules for 2015.